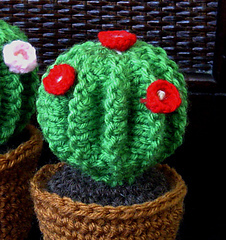 The knitted Cactus in pictures is approx. 5 1/2” tall with the pot. 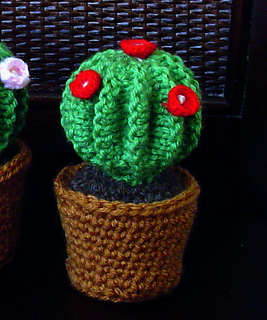 The pattern for the crocheted pot is also included. 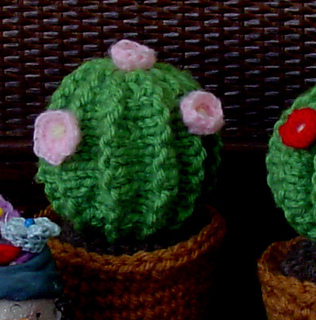 Step-by-step photos and useful links to tutorial videos to help you through this project. Knitting: cast on, increasing, decreasing, bind off. 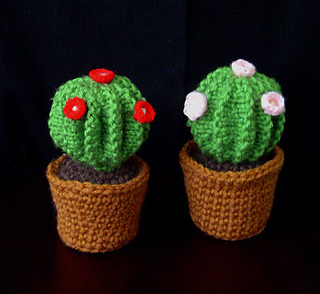 Crochet: single Crochet, increasing, decreasing stitches. This pattern is copyrighted. You may not rewrite, resell, trade, No mass production allowed.